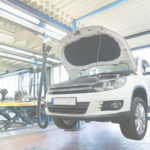 This followed an investigation by the Driver and Vehicle Standards Agency (DVSA), which found that the garage where the defendants worked had issued fraudulent MOT certificates for 73 vehicles. None of the vehicles in question had even attended the garage for inspection. Gentjan Fejzo, aged 34 of Brockett Way, Chigwell, received 21 months imprisonment suspended for 2 years and was ordered to undertake 250 hours of unpaid work. Ermal Fejzo, aged 38 of Whistler Walk, Chelsea, received 18 months imprisonment suspended for 2 years and was ordered to undertake 250 hours of unpaid work. Ajet Axhami, aged 41 of Harbourer Close, Hainault, received 16 months imprisonment suspended for 2 years on the condition that he undertakes 150 hours of unpaid work. He was also made to pay costs of £3,000. Roland Liksenaj aged 29 of Northwood Avenue, Hornchurch, was ordered to carry out 150 hours unpaid work. He was also made to pay costs of £1,500. Gentjan and Ermal Fejzo both received a 4-month curfew. An order for costs against them has been deferred until the completion of a Proceeds of Crime Act investigation into their activities. “The MOT is vital for making sure the vehicles on Britain’s roads are safe to drive. That’s why it’s so important that MOT testers act with honesty and integrity.